The Octagon House, five floors of solid brick construction completed in 1854, consists of 57 rooms. Beautifully situated with spacious grounds on the brow of Richard’s Hill in Watertown at the extreme end of the old Watertown-Milwaukee Plank Road, it commands an imposing view of the Rock River and the surrounding country. 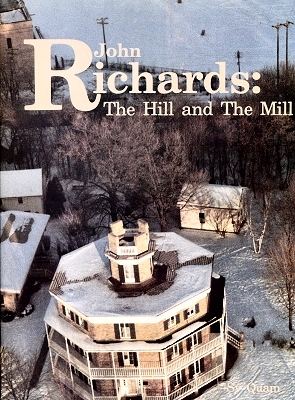 The story of the Richards and their Octagon House is of perennial interest to thousands of visitors, both children and adults. In Sy Quam’s large-size 115-page book the author documents, by means of text and photos, the Richards family, the Octagon House and the times with remarkable clarity. The author was a professor of English at Northwestern College in Watertown and a former manager of the Octagon House and grounds.